A colloquy is a formal conversation. If you commune with someone or something it means that you communicate without using words because you feel especially close or in tune with them. A memorandum can be a short note to help remember something one has to do or that one has done, or can also be a communication sent around an office complex. Glen wrote Merry a missive or letter describing his love for her every day for a month. His lengthy, heartfelt, and thoughtful notes or missives arrived each afternoon, which Merry read with evident delight. After the arrival of Glen’s final missive or written message, Merry bought a plane ticket and traveled to Australia to see him in person. Quiz: Try again! What is a missive? A true, lasting love affair. A form of written communication. A promise to do a task for a given period of time. A missive is a written letter, especially a formal, legal, or important one. Give Permission I need to handwrite an official missive to my boss for her to give me permission to take a personal day off of work. A missive is a form of communication “sent” in the mail. 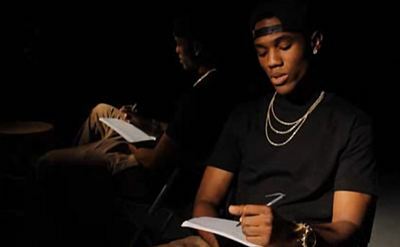 B. Smyth - Letter He's writing his love a missive.